We migrated the website content from an image heavy, basic HTML website to a self-hosted WordPress installation. The site’s new design is built on a custom version of the Modern Studio Pro theme from StudioPress. If you’re looking to spruce up your existing website or do a complete redesign, then fill out the form to the right to schedule a free 30 minute consultation to see how Komodo Online Marketing can help. 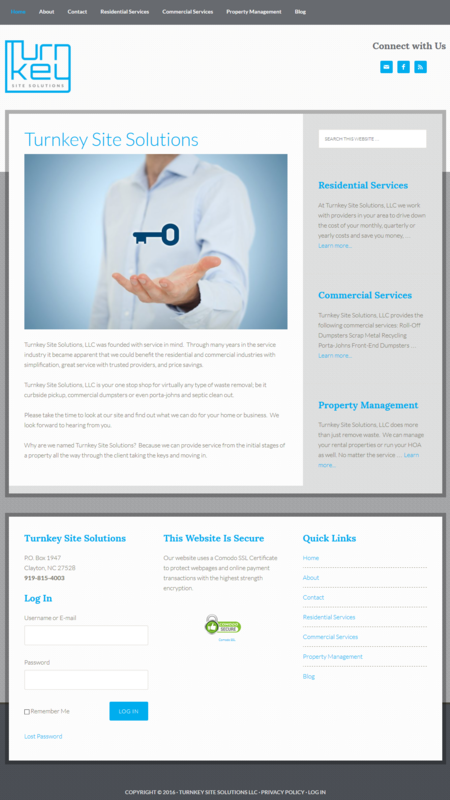 Komodo Online Marketing recently launched the new site for Turnkey Site Solutions. The site was developed on the WordPress platform and runs the Genesis framework with a modified version of the Going Green Pro theme from Studiopress. The website also features lead conversion tracking in Google Analytics through Gravity Forms. The website also processes automatic recurring subscription payments through WooCommerce Subscriptions and the Authorize.net payment gateway. International College Counselors homepage screenshot. Earlier this month, we launched a redesigned WordPress theme for International College Counselors. 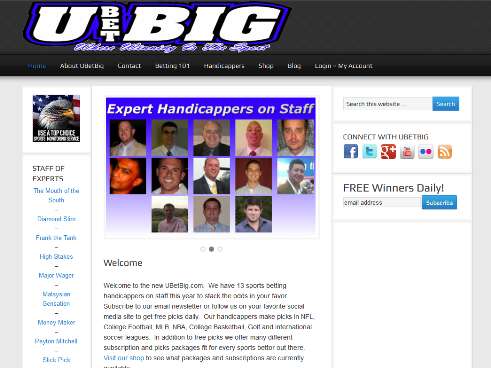 The website was already running on WordPress and features a very extensive blog with over 180 posts. For the project, we added the Genesis framework and customized the Enterprise Pro theme from StudioPress. 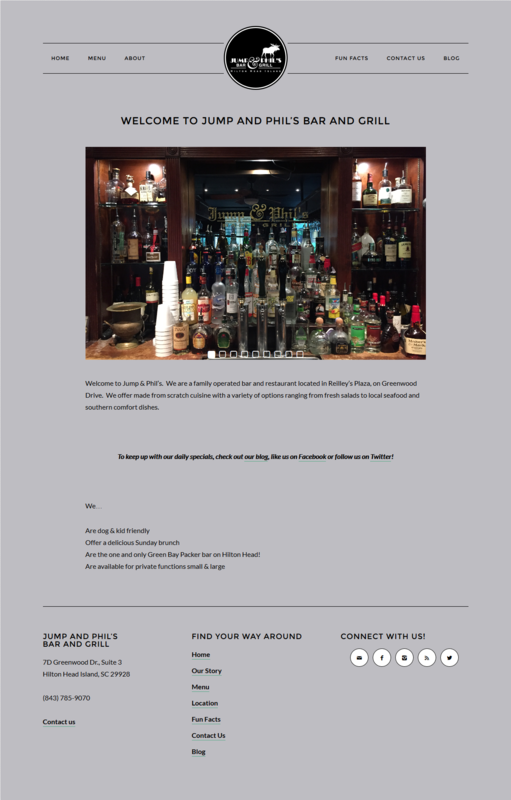 The website is fully responsive. 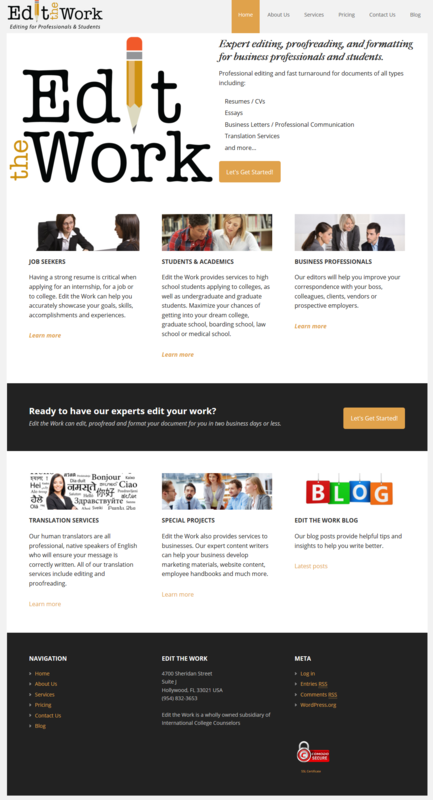 This website was developed on the WordPress platform and runs the Genesis framework with a modified version of the Executive Pro theme from Studiopress. The site also runs WooCommerce with PayPal and Authorize.net payment gateways. Client document file management is handled securely on the server and clients are routed to the correct service selection page based on their selection criteria on the document upload form. 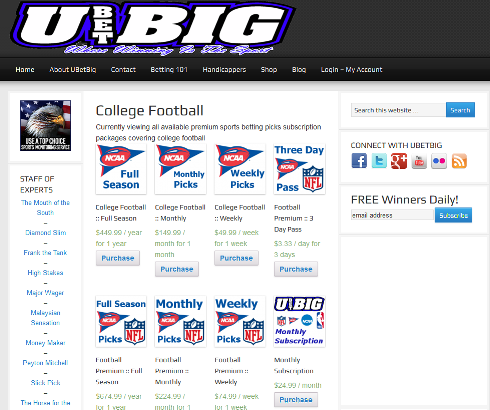 The site is also fully responsive. 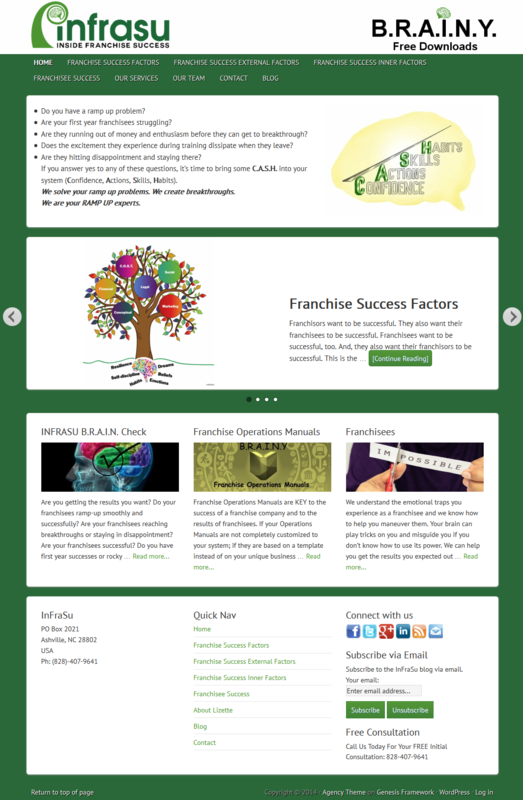 InFraSu – Inside Franchise Success website homepage. This website was developed on the WordPress platform and runs the Genesis framework with a modified version of the Agency theme from Studiopress. 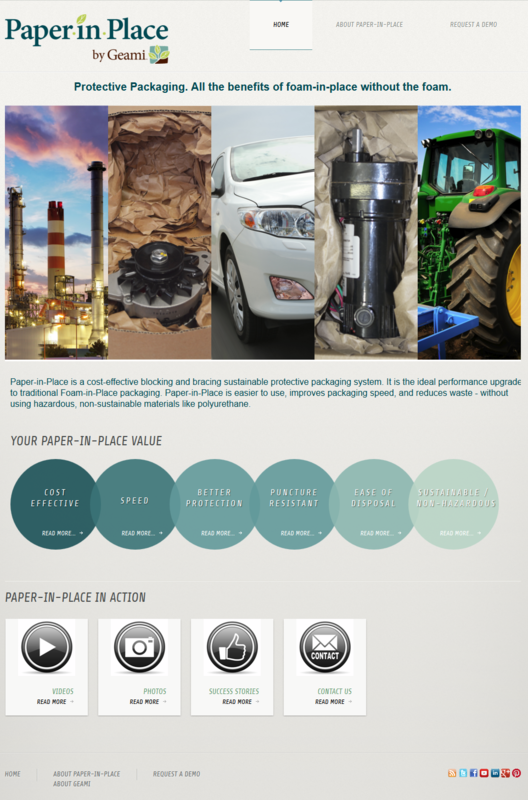 Paper-in-Place by Geami website homepage. The website was developed on the WordPress platform and was designed as a product information and sales lead site for Geami’s newest protective packaging product, Paper-in-Place. 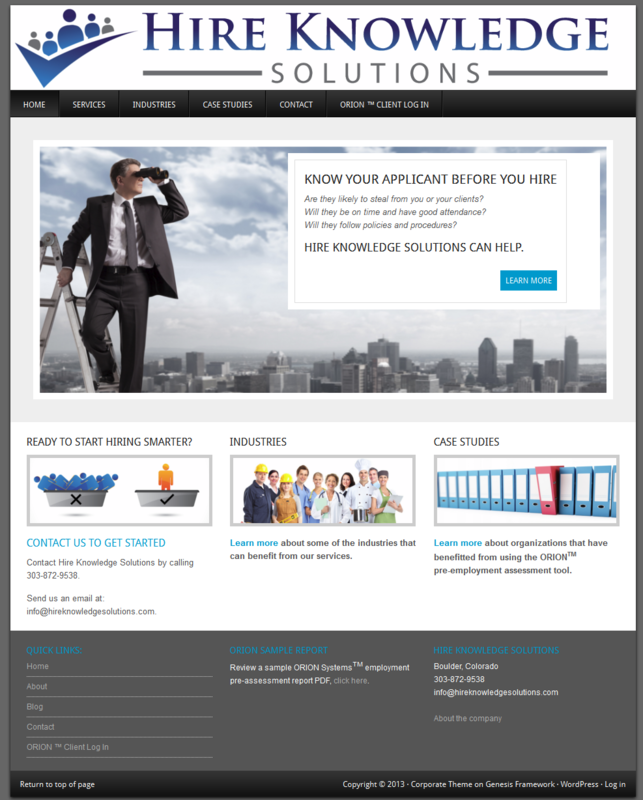 The website was developed on the WordPress platform using the Genesis framework and runs a customized Corporate theme. This WordPress website development project was a complete redesign. 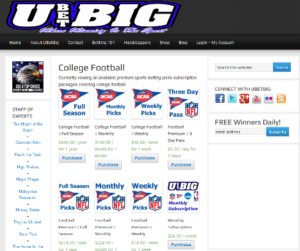 We started with a clean design slate. The project also involved incorporating their old WordPress blog content into the new site. 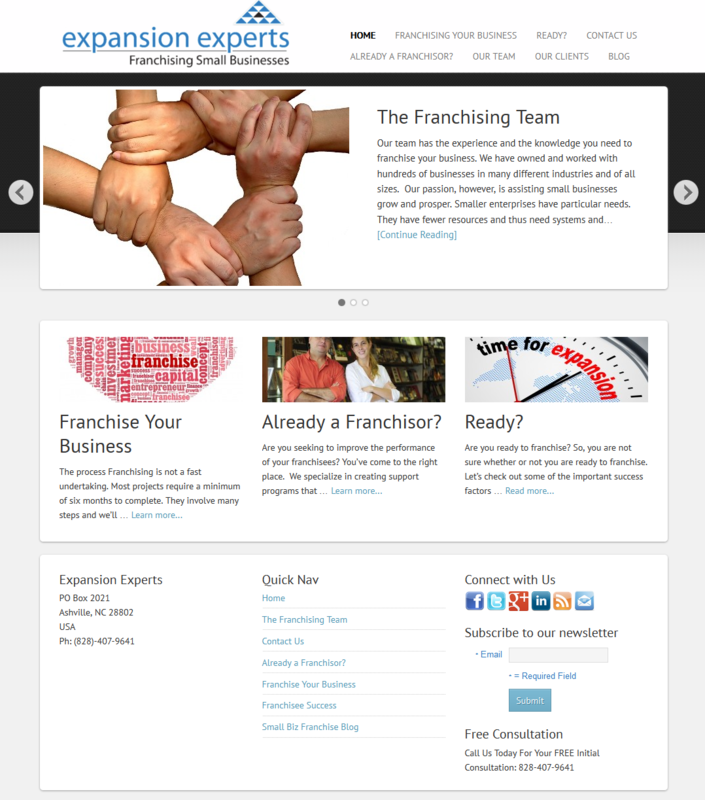 The website was developed on the WordPress platform using the Genesis framework and runs a customized Agency theme.